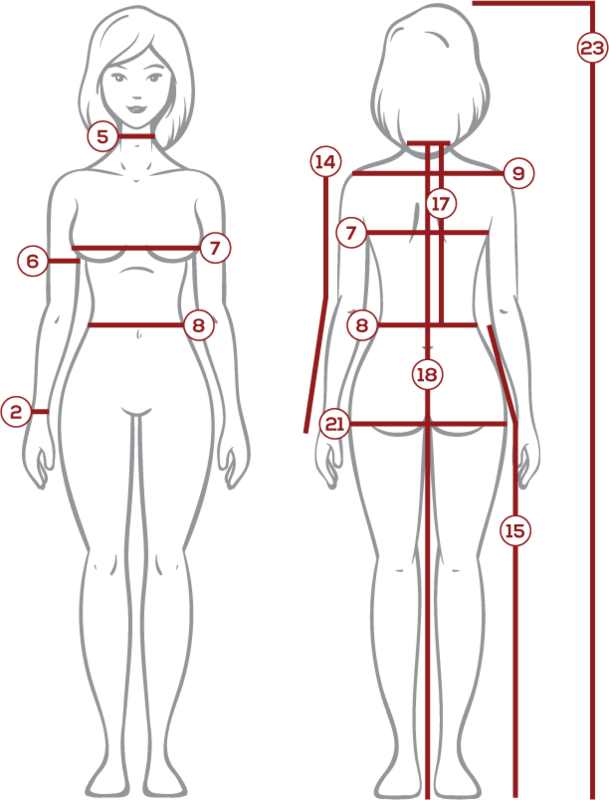 A countess was expected to look her best at all times, as she was expected to be the pinnacle of poise and grace. 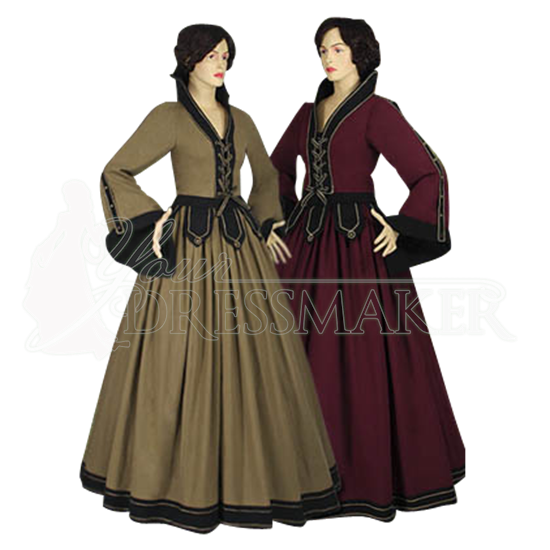 And if you are looking for a dress that allows you to recreate such historic grandeur, then look no further than this Medieval Contessa Dress. Beautifully unique in its design, this dress is a two-piece garment that would make any countess (contessa is Italian for countess) into a visual wonder of medieval beauty. Both the bodice and the dress are made from fine natural cotton, and the bodice features a bold lace-up closure in the front, for easy wearing. It also features full-length sleeves with wide cuffs and a high collar, to give it that unique touch of noble style. The bodice and skirt combination are available in a variety of colors, including an assortment of lovely shades for its main coloration, and white, cream, or black for its accent color. Please note that the dress above is pictured with an A-Line Petticoat underneath, to give it shaping (this petticoat is not included, but it can be purchased separately as item MCI-145). 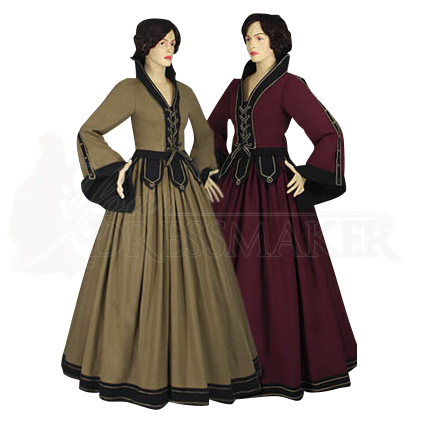 And because it is a bodice and skirt combination, this Medieval Contessa Dress offers a lot of versatility, too, especially because you can wear them together to wow the crowd, or mix-and-match the pieces with your own medieval garments to create an outfit that is really unique!